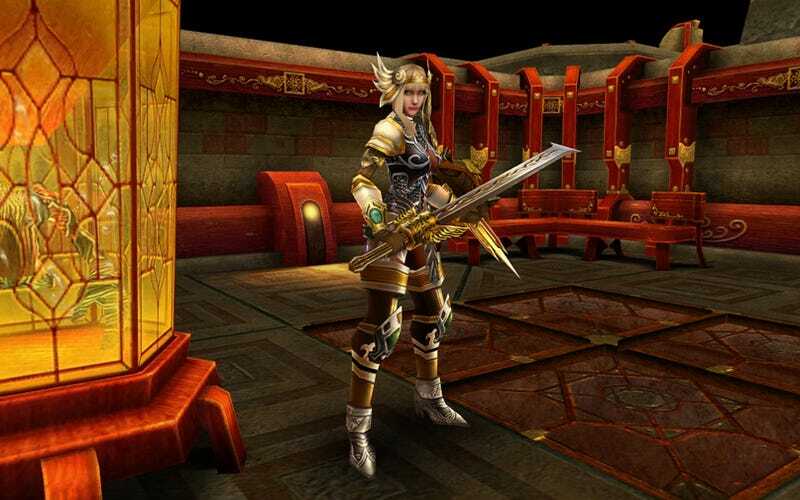 New screens from True Games' upcoming massively multiplayer online action role-playing game Warrior Epic display visuals a bit more dynamic than the game's name. While the graphics for Warrior Epic certainly won't knock anyone off of their feet, they aren't too shabby with a game that's being designed to run on any computer system, regardless of the amount of high-end graphics hardware you may or may not possess. This fits in with the game's more casual take on the online role-playing genre, with an emphasis on quick, 20-30 minute missions that allows players to hop on, level up, and hop right off, maintaining the semblance of a real life that other online role-playing games actively devour. With a new round of closed beta kicking off next month, it might be worth checking out.